to The Willows. Call 706-273-8507 for questions. 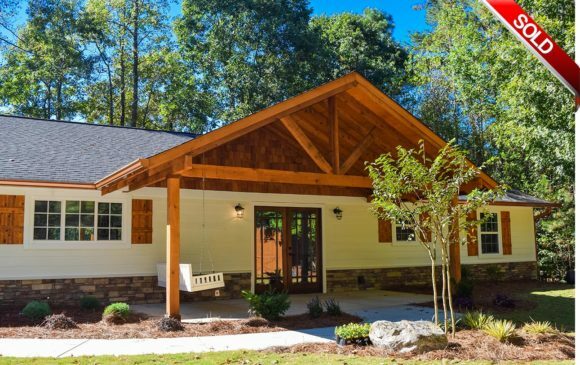 This gorgeous and exquisite style home is beautifully landscaped with a private gated entry located in Ellijay, GA. This home is priced to sell by owner/designer. 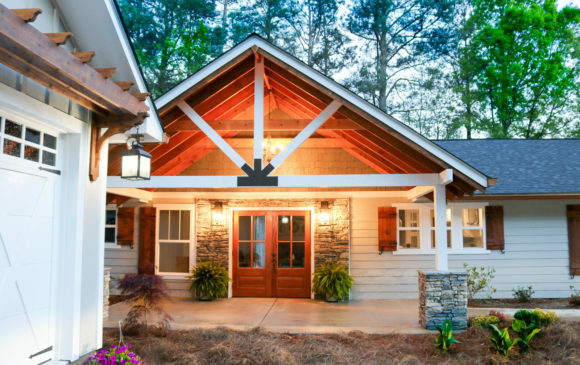 If you’re looking for a spacious, rustic ranch style home with a modern twist, then you have found the right home. This beautiful 3 bedroom/ 2.5 bath farm house is simply stunning with a large landscaped yard, private gated entry, and a large detached double car garage. This Industrial Farm House has many unique touches and is looking for a home owner that will appreciate the grand tall ceilings with large beams that greets you in your open floor plan living. The elegant home is perfection and is on 1.5 acres of beautiful country side. With the homes cottage feel and modern elegant touches, it will win you over with its modern yet traditional design. Landscaped beautifully with a large private back yard nestled within mature trees, a 2-car detached garage, and a private gated entry. This home is priced to sell by owner/designer. This beautiful European style Farm House is now completed and is available for a showing. More details will be provided when available. Please contact Karla for private viewing and availability within the hour. Perfect for those wanting the security of a gated community, but with the privacy of owning your own piece of mountain property with only 3 other neighbors. This charming and peaceful community offers country living at its best! The Willows includes peace and quiet, serenity of your home being nestled among the trees, and wildlife grazing in the pasture. Along with the limitless property qualities the 4 one-of-a-kind homes bring the serenity of the country inside. Cherry Bloom Homes & Design presents The Willows! Imagine a community built by one designer whose goal was perfection, this is it! 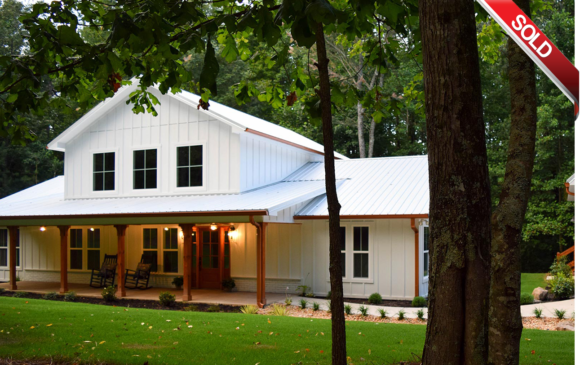 Our one level homes are a mixture of a quaint living area & a rustic farm house, all with an elegant, timeless, modern flair. All homes are completely custom from the wood ship lap bathrooms, white wood ceilings, marble, grey and white color tones along with every single detail being custom and a home full of character. Not a detail was left undone but also careful consideration to the importance of a home full of conveniences. We love to build and design amazing dream homes with style and beauty but just as importantly a home that is convenient and helps to make your busy life easier and your sanctuary. We also love the challenge & outcome of completely transforming a home to meet all your wants and needs as well. Some of the Conveniences we offer, and that is also built into The Willows include; large walk-in closets, large pantries off the kitchen, spacious laundry rooms with laundry sinks, optional no stairs for one level living, along with upgrades for all efficient options including constant tank-less hot water. Not to mention each home has their own private well. 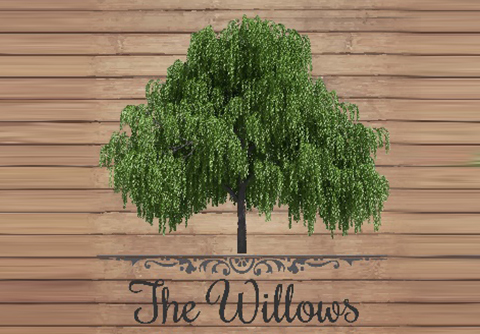 Imagine a community built by one designer whose goal was perfection, that is The Willows! A passion for fixer uppers or starting from scratch and building dream homes, either option, Karla greets with passion and strives for perfection. From a designer’s point of view, it is best to build a home for the ideal lay out & character built in so that at the end, your families dream is complete. This is best to be accomplished as the house is built if possible. Most homes are not built with the placement of furniture, convenience, and function in mind, Karla made this a priority. Each and every room is designed to offer multiple options of furniture placement and the homes are always designed to help make your home your sanctuary of peace and functionality. One word we do not use is can’t. Everything is possible and no client is to picky in our book. Just someone that knows exactly what they want or you don’t know at all and you need ideas to help you decide. Karla fully understands and isn’t afraid to put in the time to make sure every decision made is just right. Cherry Bloom Homes strives to always go the extra mile in every home and in every project they are working on. It is understood by every one that works on Karla’s projects that it must be completed correct or re-done. At all cost, producing an excellent product that will last the home owner a lifetime is top priority. She builds each and every home as if it is her own and with great pride. The homes that are featured were all built with great detail. When a project is more a passion than a job, it becomes a labor of love. Buying a home is a special time in your life and your largest purchase. We want it to be exactly what you have always dreamed of and even more. Our biggest desire is that the passion that was placed in building these custom homes, is felt, and it will assure you that you have found the perfect builder and company for your new home or project. Cherry Bloom Homes and Design is a company with old world southern charm. When looking for your dream home you need to find someone that knows the area inside and out! Karla Abercrombie’s experience and knowledge of the area will be a leading factor in your future custom dream home. Karla is a licensed general contractor with a great passion for design. The difference in working with Karla and Cherry Bloom Homes is that you are working with a builder and designer all in one. Building your dream home & designing from beginning to end so that the home is perfect for your family and also meets all of your needs, will be the top priority. Karla specializes in sketching the homes she builds so that whether you are wanting a large master suite, a dream mud room to organize your families clutter, or that spacious designer kitchen, she will make sure you get EXACTLY what you’ve dreamed of. There is no request to small or to big. Many people wait most of their lives to build their dream home and making sure you wake up every morning in your idea of perfection and knowing that every detail was carefully thought out and the attention to detail will leave you smiling for many years to come. To her clients that purchase a Cherry Bloom Home she will offer design and furniture assistance so that once you move in, the work is done, and your life in your dream home is all that awaits you. 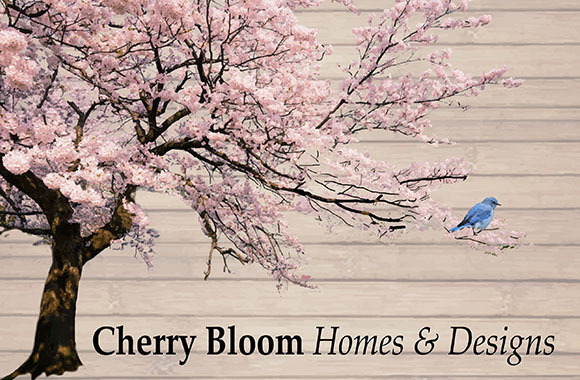 Cherry Bloom Homes and Design wants to be the company that you trust for your custom home from beginning to end. Every style can and will be accomplished by Cherry Bloom Homes and Design. There is not a style that Karla doesn’t love and a modern home with a rustic twist and always mixing styles is her specialty. Every home will be one of a kind & full of character! Karla is highly requested to build the modern Farm House with your own style added in. Whether that’s Traditional, Industrial, European, or Elegant with just a splash of your style can be made all your own. Karla also has plans for her own version of the North Georgia cabins which are iconic to our area and offer incredible detail and some of the most fantastic views in the area. Karla has a special industrial yet elegant style that can be used to make your cabin unique, less dark, and more livable. Your cabin doesn’t only have to feel like your mountain home but can also be made to feel like the perfect elegant mountain oasis that is cozy enough to make you never want to leave. Create a new build that feels warm, new, old, and timeless all in one package. A reputation as a trustworthy resource to answer your questions about the process for buying and selling. Taking a project from beginning to end is our specialty. From the day we find a home that needs love, until the day we choose the last special pillow for the bedding. Karla is there from beginning to end. As a realtor, builder, designer, and a trusted resource. Her commitment to giving her clients their dream home and building unique high end homes. She is dedicated to building families their dream home. I am dedicated to helping you find your dream home. I can also assist in selling your existing home. My commitment to you is to tailor my services to personally meet your individual needs and goals including design services, if desired. Contact Cherry Bloom Homes & Design to view the Homes for Sale .